This is the South of France. A side of the earth that gets amazing shades of golden sun light, just because. 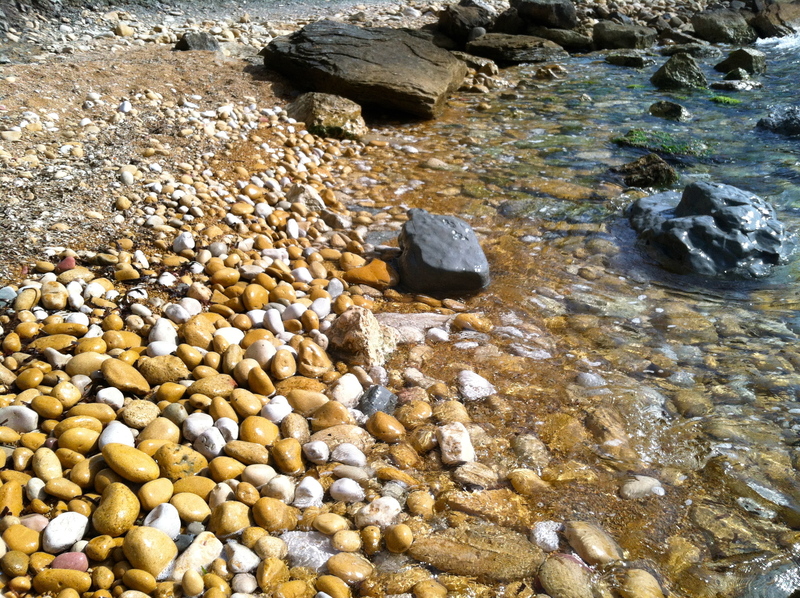 The little stones, half mustard and half white, make it for the perfect sight, especially if one ventures into the solitary beaches that surround the town of Cassis, some of them clothing-optional, steps away from tourists. 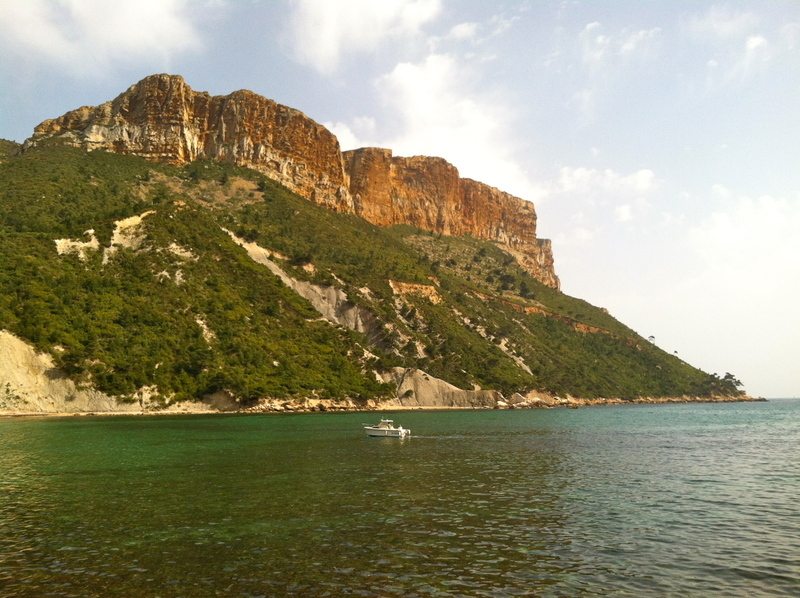 The enchanting shores of Cassis, and the moments of silence one can experience there, are only for a certain type of travelers. A paradise for those who do not mind traveling solo. One day in May I was there, alone, in my Solo trip; but I was well-informed via the Tourism Office in town, and I knew that it would take a little hiking but not too difficult to do, to find the solace and the peace and the silence at the beach, where I stayed for hours by myself, surrounded by other silent bathers, all in naked harmony. 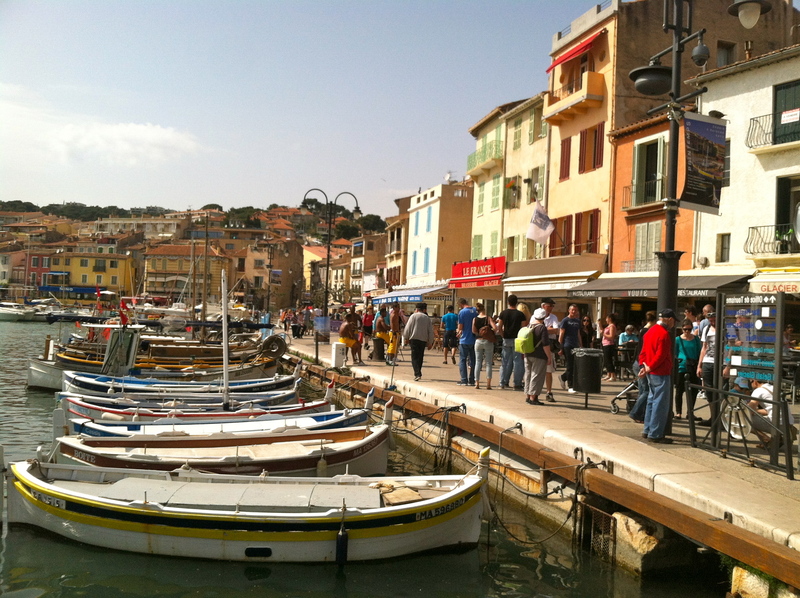 Reachable by train or car, Cassis (pronounced: “Kasee” in English) is located about 30 minutes East of Marseille, in the department of Bouches-du-Rhône in the Provence-Alpes-Côte d’Azur region in southern France. A great place to travel, in company or alone. Previous Valorando Nuestras Costumbres Indígenas.